The 2019 Toyota RAV4 offers all-wheel drive in every trim, and with the high-end Adventure trim, it’s a standard feature. So, if you’re wondering whether all RAV4 models are AWD, the answer is that they can be! However, the particular Toyota all-wheel drive system that comes with your vehicle will vary depending on the trim that you select. RAV4 LE, RAV4 XLE, and RAV4 XLE Premium models can all be equipped with basic All-Wheel Drive (AWD). Even this system improves handling and performance in significant ways, giving you the confidence you’ll need to travel through rain and snow. Drivers who opt for the Toyota RAV4 Adventure or Limited trims will be able to enjoy an even more capable Dynamic Torque Vectoring All-Wheel Drive System (TV-AWD). This system is distinguished from the other because it can direct up to 50% of power to the rear wheels when needed. A rear driveline disconnect is also standard in these models. The 2019 Toyota RAV4 Hybrid offers its own all-wheel drive system–Electronic On-Demand All-Wheel Drive–and this one is standard, too! Unlike the other systems mentioned, it delivers additional power and handling, whenever needed, using the built-in electric motor. We’ve focused on the 2019 Toyota RAV4 throughout this guide, but don’t hesitate to contact us if you have questions about a different model year. Multi-Terrain Select – With AWD equipped, you can switch between Mud & Sand, Rock & Dirt, and Normal terrain settings. Drive Modes – Switch between Normal, Sport, and ECO driving modes with the press of a button. On Hybrid models, an additional EV mode has been included. Engine and Transmission – All gas-powered versions of the RAV4 have been equipped with a Dynamic Force 2.5L inline-4 engine and a Direct-Shift 8-Speed Automatic Transmission. In its standard configuration, the Toyota RAV4 can tow 1,500 pounds, but those who opt for the Adventure trim will be able to handle up to 3,500! 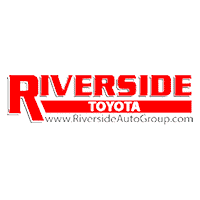 If you’re ready to reinvigorate your drives around Rockmart, you can find the perfect new Toyota RAV4 for sale at Riverside Toyota, today. Our team is standing by to help you check out the RAV4 safety ratings, learn more about RAV4 performance features, and secure financing. We’re sure you’ll love how you feel behind the wheel, so don’t wait to contact our team.